— Victoria Uwonkunda (@Msuwonkunda) 29 марта 2019 г. Both the BBC and the VOA already received six-month suspensions last May ahead of a constitutional referendum seeking to allow for the extension of Nkurunziza's term in office by two terms. The BBC blasted the Burundian government's "unwarranted decision" against itself and the VOA, saying that the move "strikes a serious blow against media freedom." — BBC News Press Team (@BBCNewsPR) 29 марта 2019 г.
VOA director Amanda Bennett said the US government-funded broadcaster was "alarmed that reporters in Burundi are now forbidden to communicate with VOA," and echoed the BBC's sentiment that "these continuing threats to our journalists undermine press freedom in the country." Speaking to VOA by phone, Willy Nyamitwe, a senior advisor to President Nkurunziza, said the media outlets were banned for spreading 'fake news'. "Some international media are biased. Everybody knows some reports were fake reports, fake news," he said. "So if people cannot even try to speak the truth…if some people are using some media outlets only to spread lies, what other comments do I have to do?" he asked. Nyamitwe stressed that the country has "thousands of journalists" and dozens of "media houses, radio stations, TV stations, newspapers, media online" which continue to operate freely. Hundreds of thousands of Burundians were have been displaced and up to 1,200 killed in clashes with security forces between 2015 and 2017. 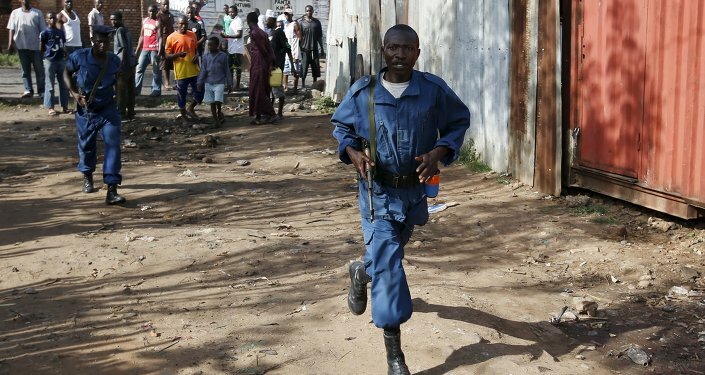 In May 2015, rebel officer Godefroid Niyombare announced in a radio broadcast that President Nkurunziza and his government had been "dismissed" while the president was on a visit to Tanzania. The announcement led to heavy street fighting for control of state and private broadcasters, with five independent news agencies said to have been completely or partially shuttered in the aftermath of the violence. Last May, Burundians overwhelmingly approved changes to the country's constitution to approve Nkurunziza running for up to two more additional terms as president. The US and the EU dismissed the vote, alleging that it was marred by 'intimidation, repression and violence' against the opposition.